A healthy osteoporosis diet is important, as a healthy diet maintains proper pH balance in the body, which is essential for bone health. Also, adequate protein is necessary to transport calcium in the body. Generally, the recommended daily allowance for protein is 46 grams per day for a woman, 56 for a man. And you need to eat plenty of fresh, natural, whole ingredients, including organic vegetables, to provide the body with the minerals and vitamins the bones need. For your osteoporosis diet simple carbohydrates to avoid are our "white foods." White sugar, white flour, white pasta, white rice and any foods containing them. Choose whole grains such as quinoa, spelt, kamut or whole wheat, brown rice, barley, and pasta or bread made with kamut, spelt, brown rice or whole wheat. Can I get my calcium from milk? 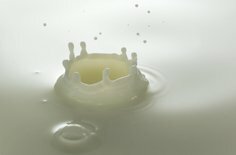 See foods containing calcium to learn all about the calcium in dairy. The body constantly tries to maintain a healthy pH balance. Over-acidity of the body causes a loss of alkaline minerals (calcium, magnesium and potassium) from the bones. A highly refined diet with processed, packaged foods, foods high in sugar, soft drinks, coffee, etc. It is imperative to your health to maintain pH balance in the body to ward off disease and especially osteoporosis. You can easily test your body pH. Vegetables are the most alkalizing foods you can eat. Make two thirds of your plate vegetables, one third protein and carbohydrates. natural calcium supplements for more information.